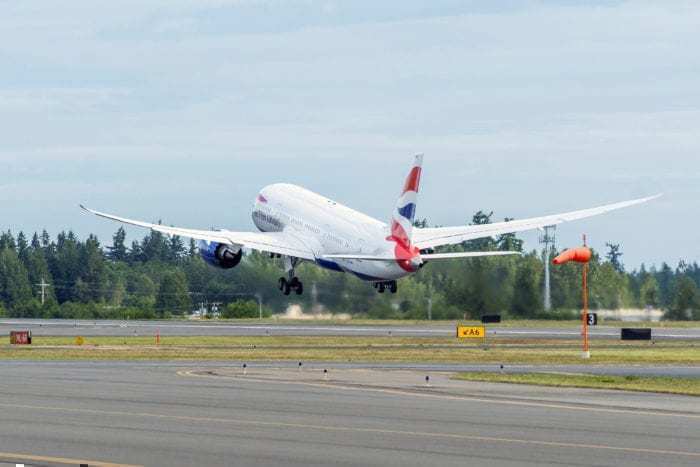 When Will British Airways Receive Its First 787-10 Dreamliner? While there’s a lot of hype surrounding British Airways’ A350 delivery in the summer, it’s easy to forget they’re expecting some other aircraft too. Specifically, the Boeing 787-10 Dreamliner. While the new 787 may not have quite the same wow factor, as BA already operate some of its sister aircraft, it could be delivered with something really quite new and exciting. The big news today is the new British Airways Business Class suites. While these will debut on their A350 due to be delivered this summer, British Airways hinted at other aircraft receiving the suites too. The first Boeing 787-10 aircraft destined for British Airways should commence delivery in 2020. How do we know this? British Airways has placed an order for 12 787-10 aircraft according to Boeing’s records. Now, in their 2018 financial report, British Airways said that outstanding commitments would see these aircraft delivered between 2020-2023. The 12 Boeing 787-10 aircraft will join 12 787-8 aircraft and 18 787-9 aircraft. This means that British Airways will have a 42 strong fleet of the Boeing 787 family from 2023. According to IAG’s 2018 financial report, British Airways currently owns nine 787-9 aircraft while nine are leased. Only one Boeing 787-8 is leased with the remaining 11 owned as assets by the airline. It is almost certain that the Boeing 787-10 aircraft will be delivered with the new Club World Suite seats announced by the carrier earlier today. While only four A350 aircraft and two Boeing 777 aircraft will receive the seat in 2019, the rollout will pick up the pace in 2020. The Boeing 787-10 aircraft are designed to be used on long haul flights. As such, it would be crazy for the carrier not to install the seats on these aircraft when delivery starts in 2020. 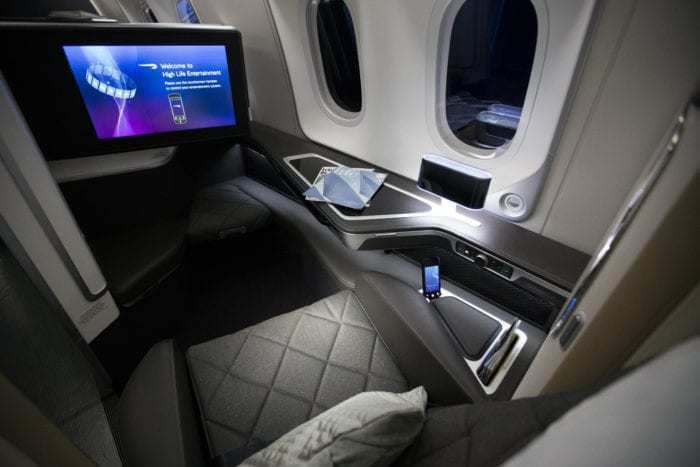 The new British Airways A350 aircraft will not contain a first class cabin. Instead, the focus on these aircraft is today’s new seat announcement. The A350s and Boeing 787 aircraft are set to help replace the Boeing 747 fleet as it’s phased out. This is in addition to new 777X planes ordered by the carrier. As the Boeing 747 has a four cabin layout, it isn’t hard to imagine some of these replacement aircraft will also include four cabins. It is yet to be confirmed whether the Boeing 787-10 aircraft will have a first class cabin, given the new business class seats. While the Boeing 787-9 operated by BA do have first class cabins, the B787-8s do not. As the B787-10 is longer than the Boeing 787-9, it would indeed have space to accommodate a first class cabin. Do you think the Boeing 787-10s will have the new business seat? Will they have a first cabin? Let us know in the comments down below! 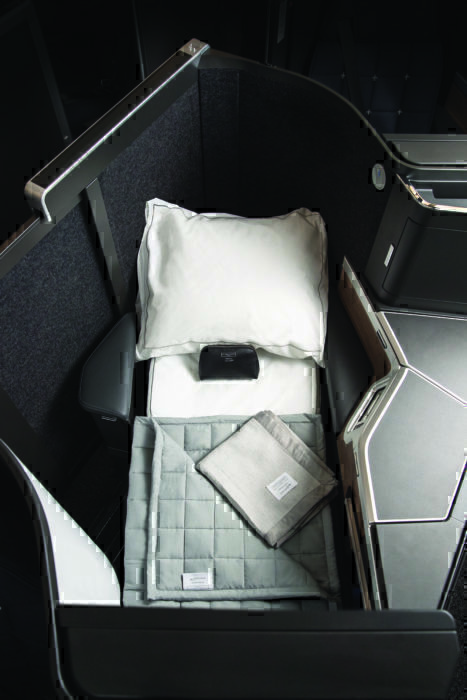 Will BA be retrofitting aircraft with the Club Suites? I would guess that the 787-8’s and -9’s would receive the new product but I can’t think of any other aircraft would receive them. The entire British Airways long haul fleet are getting Club Suites by 2023. As it is, First in BA787-9 is totally cramped and claustrophobic so if the -10 will also have First, it should be in a different outlay.